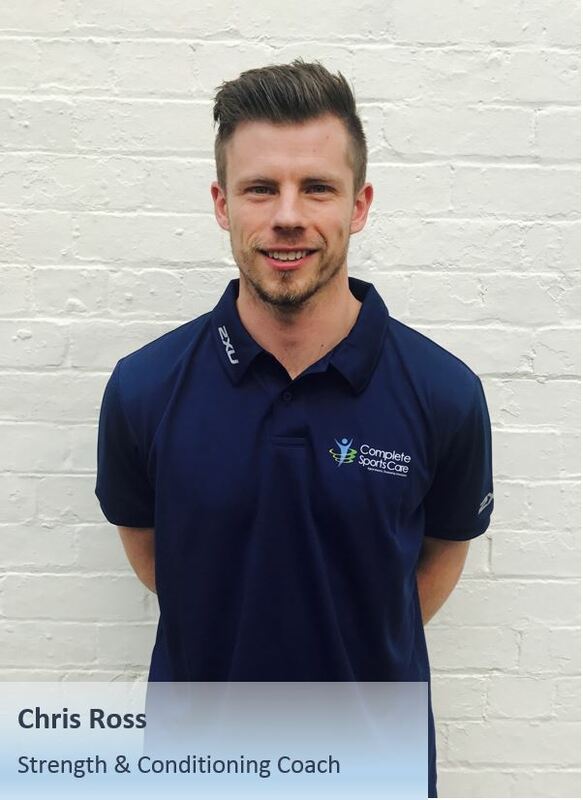 Hi, my name is Chris Ross and I am a Strength and Rehab Coach and Studio Pilates Instructor at Complete Sports Care. Since completing a degree in Exercise and Sport Science in America I have worked specifically with clients of all backgrounds ranging from general population to professional athletes. I have a Masters in Strength and Conditioning and have completed further education in both Clinical Pilates and nutrition. I am currently the Head Strength Coach for the Box Hill Hawks (VFL), also spending a considerable amount of time working within the High Performance and Medical teams at Hawthorn Football Club. I have previously worked overseas in the U.K, America and Iceland in some form of performance or rehabilitation role. I have extensive experience in strength and conditioning, return to sport and return to exercise programs, injury management and Pilates. I have a keen interest in lower back, knee and hip related injuries and rehabilitation.